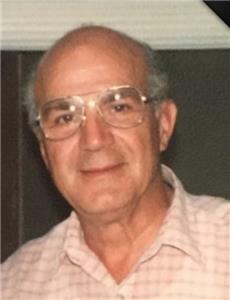 James Vincent Lupo, Jr., 93, passed away on Sunday, December 10, 2017. Mr. Lupo was a veteran of World War II where he served honorably in the Army Air Corps. He was a Sergeant and crew chief on B25 and B29 bombers. He owned a printing business in New York and retired to Cleveland, Tn. in 1991. He enjoyed his retirement which included his love of painting, golf and spending time with his family. Mr. Lupo had several exhibits of his art work in NY and in the Creative Arts Guild in Cleveland. Mr. Lupo was a loving and devoted husband, father, grandfather and great-grandfather who was loved by all for his kind nature, quick wit and sense of humor. He is survived by his beloved wife of 64 years, Agnes Lupo; daughter, Jane Krider and son in law, Jay Krider of Fairfield, CA, son, James Lupo III and daughter in law, Sharon Lupo of Cleveland, TN, Daughter, Angela Farrell and son in law, Arthur Farrell of Niskayuna, NY; grandchildren: Jennifer Krider, Jenna Bell and her husband Daniel Bell, Karissa Ferguson and her husband Kyle Ferguson, Kayla Lupo, and Stefani Farrell; great grandchild, Jude Ferguson; beloved brother to Antoinette Lupo; beloved brother in law to Alfred, John and wife Rose, Paula, Helen and August Justesen; numerous beloved nieces, nephews and cousins. A private memorial service will be held at Serenity of Cleveland Funeral Home with Pastor Robert Seaton of First Lutheran Church speaking. Online condolences may be left for the Lupo family at www.serenityofcleveland.com.